There’s a lot to say about the first season of Mr. Robot. It has become a blogosphere sensation that became required viewing by the end of the summer, and though it’s an interesting show with plenty of redeeming qualities, I’m not fully on board; Mr. Robot is not quite as good as most of the internet would have you believe. First, though, I want to spend the majority of the piece grappling with a particular question as it relates to the show. How much does plot matter in a television show? It depends, and sometimes more than other times, is the obvious but unhelpful answer. Sometimes plot is essential, sometimes it’s a distraction. Lost diehards would say focusing too much on the plot and its lack of resolution missed the point, but I would argue against that, saying that the plot was clearly important to the show initially, and that the show had set certain expectations for resolution. Furthermore, there are different instances of plot: within a moment, a scene, an episode, over the course of a season, or over the course of a series. 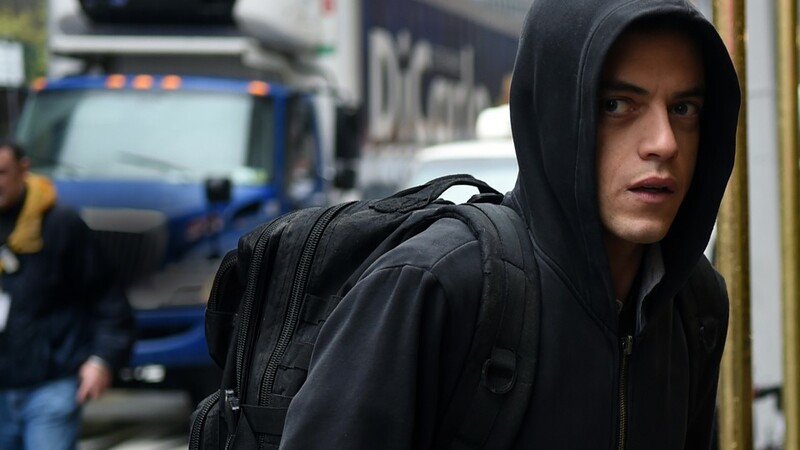 I have some general issues with Mr. Robot’s plot, but to not ignore the forest for the trees, everything starts with two major plot twists in the second half of the season. First, it turns out that Mr. Robot (Christian Slater, and he may have another name, but I’m still going to choose to call him Mr. Robot) is actually not merely a hallucination of protagonist Elliot’s dad, but also a manifestation of Elliot’s alternate personality. Second, fellow hacker Darlene is Elliot’s sister, but Elliot continues to forget and or not realize this, and occasionally comes on to her. The hallucination twist I didn’t care for at all. At first, I was angry at myself (in my defense, I watched most of the show in two days and didn’t reflect much between episodes) for not picking up on the fact that Mr. Robot was a figment of Elliot’s imagination, but as I thought more about it there were several scenes where he was present and Elliot wasn’t, meaning that sometimes he was a hallucination while sometimes he was a manifestation. The former, which I still don’t particularly care for, I’d be kinder towards; the second is a lot too much for me. It reeks of Fight Club, and speaking to my points about plot earlier, while I enjoy Fight Club in many ways, the plot is unfathomably stupid and prevents me from quite liking it as much as many do. The twist was nearly a pure plot move, and it obscured and overwhelmed some of the more interesting aspects I’ll drive into shortly. The Darlene twist works better but the implications are questionable if thought about for a couple of minutes more, which is often a sign of a potentially poorly thought out twist. It’s a little less obvious and Darlene is a much more interesting character than Eliot’s dad. It’s unquestionable a twist, but it doesn’t feel as M. Night Shyamalan-esque. The trouble though is, and if you think I’m looking too deeply into this, maybe you’re right, but– why is a sister who seems to care intensely about her brother’s well being letting him participate in activities that first, he’s obviously not up to mentally, and second, that obviously have the likelihood of aggravating his already very serious fragile mental state. This is all aside from the insane idea of following and trusting someone with a very serious mental illness to lead a group of hackers in a series of crimes that will inevitably have the participants sent to jail for a long, long time, if they’re ever caught. Are there motivations set up by the show to defend this behavior? Sure. Darlene cares a lot more about the project than Eliot does; it’s her baby, and maybe she really, deluded-ly believes that this is good for him, or maybe she needs him, and secretly knows that this is bad for him but doesn’t care, though she convinces herself otherwise. Either way, it’s a bit of a stretch. I don’t quite understand the Tyrell Wellick plot. He kind of cuts a Patrick Bateman visage, and he’s a very strange character and I don’t really get how he fits in with the rest of the show, plot-wise, tone-wise, or thematically. I kept waiting for the big moment when Elliott and his world would dovetail, and it never quite happened. I do really like Darlene’s character, and although I’m not sure how it would work in practice, abstractly I might prefer a version of Mr. Robot that focuses on Darlene, rather than Elliot. Elliot would be stronger a peripheral character, and Darlene’s struggle to ferment revolution while keeping her troubled brother healthy and productive and maintain this ragtag team of hackers seemed loaded with potential. The focus on what revolution means; true freedom and the notion of good and evil, selling your soul vs. fighting the good fight, and what that really means, or what change any of this makes. These are all complex ideas with plenty to work through. The show vacillates between exploring these in a provocative way and laying the evil 1% on too thick. The good: A dive into what changed and what’s the same after f society erases all debt, and the hollowness of the victory Darlene wants so desperately. The bad: the soiree of rich people at the end of the show, the rampant, obvious evilness of some of the Evil Corp executives, who appear to be cackling in a room about how to screw the peons a little too often. I’m as inherently skeptical of giant corporations as any good liberal, but even I winced at some of the less nuanced depictions of corporate America. Better was in the last episode when Angela understandably was enraged by the treatment she received at the shoe store after she witnessed a suicide personally, and the portrayal of Gideon, a man who is at the whims of corporate forces outside of his control, who isn’t always fighting the good fight, but just wanted to be a small business entrepreneur looking out for his employees. I don’t think Mr. Robot is without merit. But the over-the-top twists and ridiculousness of the plot overwhelm some of the more interesting aspects of the show. I was initially furious with the twists, and felt like the show had been overwhelmed with gimmickry, and I still feel that to be true to some extent. With more time though, while I’m still frustrated with what was an uneven first season that was never as brilliant as many of its internet backers believe, there’s a real opportunity for the second season. Mr. Robot made a mark this first season and the second season will be a chance to start fresh and decide what kind of show it wants to be. Twists are out of the way; it’s time to dive in to pure substance and explore beyond the initial parameters of the catch-all plot. I’ve been thinking a lot recently about the importance of plot in television. Sometimes plot is nothing more than a smokescreen to dig into other aspects of a television show; sometimes plot just gets the viewer on board so the creator can explore characters, relationships, visuals, emotions, and who knows what other themes. Think Hannibal, which had a monster-of-the-week first season only to bring viewers to a crazy and wildly experimental third season where plot was near last on the list of concerns. Rectify has a plot undeniably, but it moves at a snail’s pace so that viewers can take in the reality the characters face. There’s nothing wrong with plot mattering though, and mattering a lot. The absolute best shows combine a number of elements and plot, or narrative, is a major tool in the TV writer’s toolbox. The Wire focus was wide and deep, but the rise and fall of Avon and Stringer Bell and then Marlo Stanfield was a major hook around which much of the show followed. They call it storytelling for a reason after all; we like a great story, sometimes everything else be damned. Many mysteries and pulp fiction books are written with nothing but plot in mind. And that finally brings me to the subject of this review, Narcos. 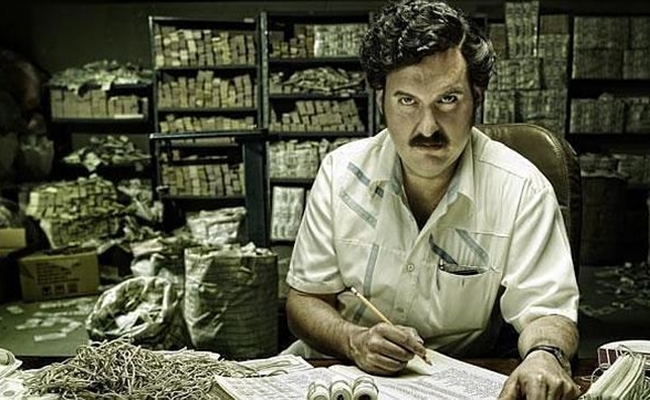 Narcos is lacking in many of the elements that denote great television. And it’s not a great show. But damn if it doesn’t have a plot that is immediately intriguing and flows along at smart pace. Narcos tells a story everyone who has ever watched Entourage has at least a passing knowledge of. It’s about the rise and fall of Columbian drug overlord Pablo Escobar, whose power grew as cocaine took America by storm in the ‘80s. While I still don’t really know the deep details, it’s a story that has obvious movie and TV potential, and there have been several attempts to tell it. Besides the fictional Entourage version, there was a recent film starring Benecio del Toro. And there’s a reason for all the Hollywood interest. It’s a fascinating story. The sheer size of his empire is staggering, and it’s easy to be attracted to a rise and fall story, even when, or perhaps especially when, the protagonist is a charismatic monster who could be charming, brilliant, and brutal all at once. The story comes from the point of view of a DEA agent who tracked down cocaine in Miami and moved down to Colombia to take the battle to Escobar himself. That’s pretty much it. There’s a lot of Scorsese-esque narration moving the story along, and adding little historical tidbits and overview. I’m normally not the biggest fan of television narration, but the narration mostly fits into one of the categories I don’t mind as much, merely moving the narrative forward and adding exposition rather than insight. This type of narration can sometimes be superfluous but the story moves along fast enough that skipping forward and setting up scenes with narration isn’t really a problem. There is occasionally some narration which attempts to add big picture personal realizations which I don’t care for, but so far at least that seems to be kept to a minimum. The protagonists doesn’t seem particularly interesting. The main narrator seems more like a vehicle to describe Escobar’s rise, and Escobar’s story is a lot more interesting than his character. He is a brute egomaniac who murders many, many people, after all. But it’s a well-paced and interesting story, and sometimes that’s enough for a fun view. Will I watch it again? Yeah, I think I will. It’s nothing so special, but it’s a good story, and there’s some worth to that still. I have been fearing AMC’s Fear the Walking Dead. Not being afraid of the gruesome zombies, but rather dreading watching it. I have a complicated relationship with the original. I don’t think it’s nearly as bad, on the whole, as its detractors do, but I’m not a huge follower either. I sit somewhere in the middle, watching week after week, but never quite really looking forward to it either. Just when I start to consider walking away, the show delivers a standout episode or a brutal and incredible moment, just enough to keep me going through a number of poorly-paced and on the nose episodes. For whatever its faults, AMC’s The Walking Dead’s pilot was excellent television, still the best episode of the series to this day. That pilot made a structural choice which worked out brilliantly. The protagonist, Rick Grimes, was in a coma while the zombie revolution started to take place, so when he came out it zombies were already a reality of life, not something for the general populace to slowly grow used to and reckon with. This helped us skip a lot of what would have ended up being completely unnecessary exposition charting the zombies’ general rise and people having to figure out that zombies are real and such. It was already happening. AMC’s Fear of the Walking Dead, inarguably trying very hard to be unique and necessary to fight the accusation that many people (myself included) make, calling it an unnecessary sequel, takes a different tack. This one starts at the beginning, at the very first appearance of zombies, back when nobody has a clue what the world would turn into shortly. Rather than initially focusing on one man, this focuses on a family. Underrated TV rock star Kim Dickens plays Madison, a high school guidance counselor and mother of two kids. Her new beau, played by underrated member of the can-play-any-ethnicity John Turturro Hall of Fame Cliff Curtis, is a teacher at her school, and has just moved into the house. Her kids are high school junior and super bright overachiever Alicia and 19-year old drug addict Nick. So, at first, it’s a family drama with only a very limited impact of zombies. We know that Nick saw a zombie attack at the church where he does drugs, causing him to run out in the street and get hit by a car. Everyone else, largely including himself, however, thinks he’s hallucinating due to the effects of the drugs, or that, probably due to a life of drug consumption, he’s simply lost his mind. The kids already resent Madison’s new beau, and the family is struggling to try to help and believe Nick, but he’s an addict, tried and true, and he always wants to go back to that life. Alicia can’t wait for high school to be over so she can get the hell out of dodge. Secondary characters mention the notion of zombies (without using that word – of course – for some reason no one in the AMC’s The Walking Dead universe calls them zombies, which obviously everyone would in real life) but they’re dismissed out of hand, which is exactly how normal people would react. A videotaped zombie incident causes a huge traffic snarl on a freeway (classic L.A.) and eventually the family runs into their first zombie when Nick accidentally kills his dealer in self-defense, only to find the body is gone, and that he’s somehow still alive after continually taking a beating and being run over by a car. AMC’S The Walking Dead did us that service of skipping the awkward phase that almost any show with magic, science fiction, or supernatural events has to go through, where reasonable people disbelieve, disbelieve, disbelieve, to show us they’re doing what normal people would do, and then eventually come around to believing the unbelievable, because the show would either be boring, or simply not make sense, in the case that they didn’t. This journey from skepticism to belief is rarely interesting and usually only serves a narrative purpose of showing us that the characters are rational like us. It’s not any more interesting here. Now, there’s absolutely a potentially interesting element in starting off earlier in the zombie epidemic. Seeing the early stages of the response by the military and private individuals and groups, and how they conflict and interact, and how quickly morals fray as people begin to realize that there’s no going home again, certainly not any time soon. And hopefully we’ll get there eventually in AMC’s Fear the Walking Dead, and I’m sure we’ll more towards that over the course of the season. Unfortunately, in the tedious hour-and-a-half (with commercials) first episode, we don’t get anywhere close as a shockingly little amount happens. AMC’s The Walking Dead went all out with its pilot; no one having known it would be a huge hit, and that pilot got people talking and inevitably got people watching. 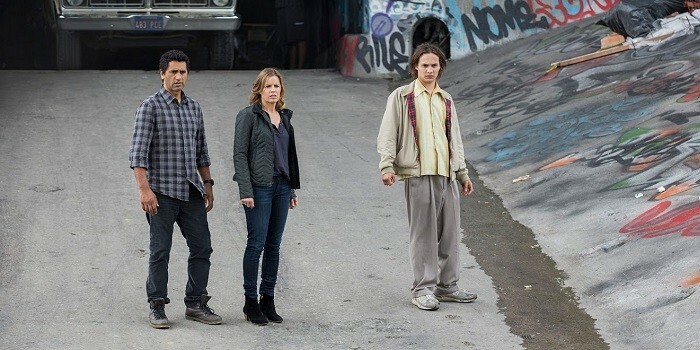 AMC’s Fear the Walking Dead probably feels more secure in its place and felt okay about slowing it down and pacing its plot leisurely over the course of the season. Unfortunately, pacing has never been AMC’s The Walking Dead’s strong suit, and almost destroyed the show in the second season. Slow, slow, slow, until a huge event or two has often been the order of the day and has made the show difficult to keep up with at times. Sure, characters are important and in theory slow burn of character development can be telling (see: Rectify), but this wasn’t the case here and we really could have used to get more from a pilot. AMC’s The Walking Dead often thinks it’s being important and interesting when it’s not, and while it’s just important and interesting enough to keep me watching at the best of times, it feels like it’s trying really hard without getting results throughout the pilot here. The creators know deep down that zombies are their hook, their modus operandi, what makes their show go, but they want to show off the personal family drama that they believe is the core, and it really doesn’t impress. Without the zombies and the imminent destruction of the known world, there wouldn’t be any reason you’d want to continue watching this show after one hour. Will I watch it again? You know what, I have agency. I say here I’m not going to watch the second episode, at least for a while. Someone has to take a stand against the ballooning of this show. Since this inevitably will become super popular and I do love Kim Dickens, I’m not pledging to never watch more. Just at least a couple of weeks of silent protest before I give in. Summer 2015 Review: Documentary Now! Documentary Now! is a series of entirely stand alone documentary parodies that seem to roughly mirror specific documentaries and documentary styles. Helen Mirren opens each episode, posing the series as celebrating the 50th anniversary of hallowed documentary anthology Documentary Now! by showing noteworthy documentaries from the program’s history. The first episode is quite obviously a Grey Gardens parody. Unfortunately, I’ve never seen Grey Gardens, the celebrated ‘70s documentary about an eccentric mother and daughter in Eastern Long Island, so my review is somewhat limited. Since it’s a positive review, however, I’m confident regardless that I’ll only like future episodes whose subjects I’m more familiar with more. 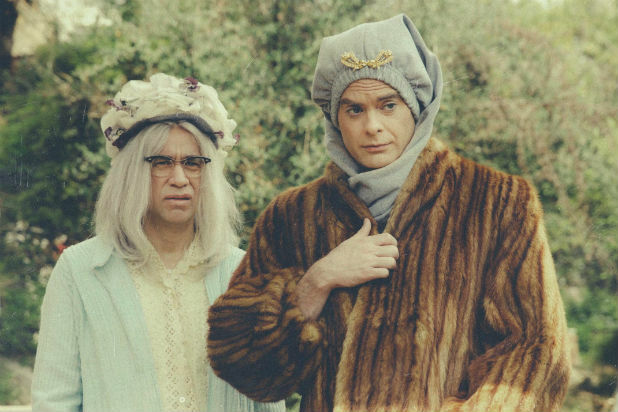 Fred Armisen and Bill Hader play a reclusive mother and daughter, respectively, like Big and Little Edie from the original, who are pretty batty and live in a somewhat isolated house that is in shambles. Like the original Grey Gardens, the documentary is being filmed by a pair of brothers. There are surely distinctive little Grey Gardens touches I’m not getting, and I wish I was, but I really don’t need to get them to appreciate this show for what it is; a couple of people just having a ton of fun, spoofing specifics but also getting a chance to be extremely silly. The amount of fun they’re having comes right through the TV. Oh, and Documentary Now is pretty funny as well. The Grey Gardens parody takes a turn in another direction, and while it’s not particularly surprising if you’re watching, it is natural, and it was funny. The two characters are delightful weirdos and their interaction is fantastic before the plot twists at the end. It’s a very unserious half hour that takes a great concept and has a really good time doing it. There’s really nothing not to like here. Fred Armison and Bill Hader are having a ball. The show is short, silly, and to the point, and with the format, there’s no need for consequences. I know this is a short review, but there’s no complicated characters or themes. It’s funny, and it’s short. Just watch it. Will I watch it again? Yes. It’s funny. It’s short. It’s fun. It has people I like. Why the hell not? It was several episodes ago that True Detective was deemed collectively by the internet, and not wrongly, a failure, and it seems oddly anticlimactic to have waited until the final episode for the inevitable post-mortem that everyone will be writing. After all, the internet collectively managed to figure out the original setting-the-plot-into-motion mystery as to who killed Caspere, though by that point, the mystery didn’t really seem to matter that much anyway; that aspect of the finale was wrapped up in the first third. Relative to expectation, the failure of True Detective’s second season is one of the most notable in recent TV history (Homeland’s quick descent is probably the best, most recent predecessor) which means it’s spending a few words on what went wrong, but what’s striking is how easily explained the cause of the failure is. True Detective season 2 just didn’t work on any level; the plot, the characters, the writing, the casting, and the cinemetaography didn’t work individually and certainly didn’t work together. There were stray moments, and some actors were better than others, and it wasn’t as awful as much of a relatively failure it was. But it was. Some failures are extremely instructive. Lost set the path for the return of complicated supernatural shows on television, but also how not to end them; have some semblance of a plan before you jump in. The Killing’s first season finale was a lesson on disappointment and anticlimax; don’t build a show of a certain type, only to try to become a different kind of show at the last minute. 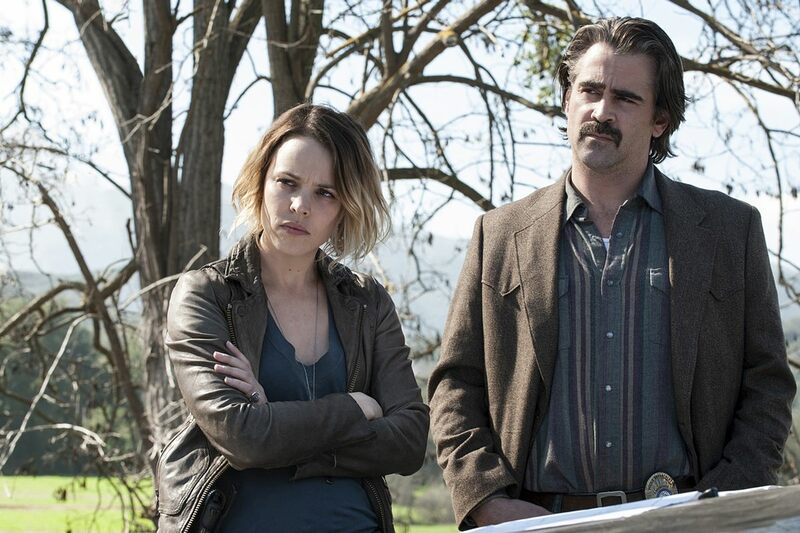 Unfortunately, I’m not sure True Detective’s failings are particularly valuable outside of that show itself; their use may be limited to helping Nic Pizzolatto not screw this up en route to a potential True Detective season 3. The goals, on paper, were noble. A neo-noir seemed ripe for the type of story and type of voice Nic Pizzolatto used in the first season successfully. And yet nothing, right from the beginning, quite clicked, but everyone, myself included, was willing to give it some rope, because we had the first season in our rear view mirror, and because it seemed ambitious enough that we wanted to give it every chance to succeed. But every problem right there from the beginning remained to the end. For one, it was too confusing. Noirs can be complicated, and there’s nothing wrong with that; shows that don’t baby their viewers should be congratulated. But there’s a difference between being complex and being needlessly hard to follow; the alphabet soup of names were thrown around without an appropriate background to get a hold of them, and it started to become a joke. Burris. Stan. Holloway. Who were they, and why did we care? The major characters were a big part of the problem as well. Vince Vaughn never was able to quite pull off gangster Frank, though Pizzolatto is at least as much responsible for delivering incredibly stilted dialogue that sounded foreign and awkward. Hyper-stylized dialogue can work in the right circumstances; see Wes Anderson and Quentin Tarantino, each who make their living on their own brand of extremely stylized dialogue. But the dialogue not only sounded incredibly out of place, even in context, it just sounded bad. The characters were generally shallow and uninteresting, and just wallowing in an incredible amount of self-loathing without much going on besides it. Taylor Kitsch’s Woodrugh, particularly, suffered from this; his entire plot hinged on his suppressed homosexuality, and there was no real investigation into that nor did it serve a role as anything more than another reason for him to hate himself. That’s all he was, and Kitsch was unable to through sheer acting bring anything more to the character. Vaughn and Kitsch had a daunting and perhaps impossible task to make their characters more than their shoddy writing and neither accomplished it. Colin Farrell’s Velcpro and Rachel McAdams’ Bezzerides were only marginally better. Both were very much damaged self-hating sad sacks in the same way; unable to function in normal society with normal people. Both had a combination of ever so slightly deeper characters and somewhat better cast actors to raise them a notch above Frank and Woodrugh, but no further. The plot was confusing and never enticing, and that’s important to note. But plot is often the great McGuffin of a noir. Many a noir have been told on a plot that was a hook, only to tell a story that was hardly about the plot itself. Neo-noirs Big Lebowski and Inherent Vice both have incredibly convoluted plots (the latter less coherent than the former) but plot is not paramount to either; the atmosphere, the dreamlike sequences, the characters, the personalities, the cinematography, the dialogue, and the interactions makes those movies go. True Detective doesn’t have any of those to stand on. Nic Pizzolatto clearly understands what’s in a typical noir. This was just a failed exercise every which way. An uninteresting confusing plot, which was unsatisfying, weak and poor dialogue, poor casting and acting, and no directorial quality which lifted any of this up. A couple of these elements may have made a season worth watching, but unfortunately, it’s back to the drawing board for season 3. Difficult People comes from a long tradition of a certain type of sitcom, dipping into the well that Seinfeld created and Curb Your Enthusiasm doubled down on (It’s Always Sunny in Philadelphia is another foremost practitioner of the style). Here are the general tenants of such comedies. The main characters aren’t necessarily unlikeable, but don’t particularly care about being likeable either. They live in their own world and don’t care what other people think. They get into constant tiffs and situations with other people, who basically exist just to be irritated and bemused with and by our protagonists. Sometimes the protagonists are in the right, and the people they’re speaking with are crazily unreasonable, sometimes the protagonists are obviously unreasonable, and sometimes the line is grey. Coincidence plays a huge role in these types of shows; a person who the protagonists pissed off or got into a fight with earlier often shows up later in the most awkward and uncomfortable place. The first episode of Difficult People checks off all of these boxes. Best friends and comedy partners Billy Eichner and Julie Klausner play best friends and comedy partners Billy Epstein and Julie Kessler. They live in their own world, constantly inundated with social media; both are constantly on their phones and one of the recurring bits revolves around a joke which Julie made and then deleted on Twitter. Billy and Julie get into two arguments/awkward situations in the episode. First, with a mother at the theater who doesn’t like their language around her kids, and second, with a start up CEO who is unimpressed and confused by Julie and Billy’s idea to bottle and market school library water fountain water. These two people, both of whom they ticked off, end up being married and show up at Julie’s boyfriend’s boss’s party that everyone is at at the end of the episode, making everything extra awkward. The supporting cast includes Julie’s boyfriend (played by the voice of Venture Bros.’ Dr. Venture, James Urbaniak), her mother, and Billy’s boss and coworkers at the café where he waits tables. Billy and Julie are big personalities; if they rub you the wrong way, and I can see how they might, the show isn’t for you. But that wasn’t a problem for me, and if you like the shows mentioned above that Difficult People mimics, Seinfeld, Curb, and Always Sunny, I don’t think it will be a problem for you either. 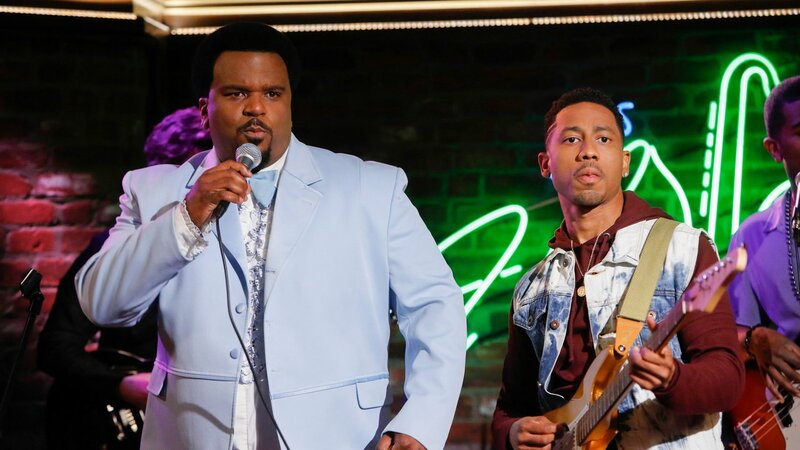 The jokes were hit and miss, but the style is a proven one, and while it does copy a lot of the Seinfeld-ian mode, it still works, and it separates itself from those shows by bringing the protagonists personalities to bear on that style of humor. Difficult People won’t blow your mind, and it wasn’t a smash from the first episode. But it had funny moments, it’s a breeze to watch, and frankly there’s a shortage of good comedies on TV so I’m willing to give them some leeway even if every episode isn’t perfect. Will I watch it again? Yes, it was generally funny, and while it wasn’t wall-to-wall hilarity, it was very easy to watch. I like this type of show in general, it’s 20 minutes, so why not?